amber mitchell hasn't added a story. Why should you pledge Grayson? For 5 years now I have been a member of the British Columbia Boys Choir, working from town choir, to junior choir, senior choir, and now as part of the International Touring Choir. This summer to celebrate the 45th anniversary of the choir, I will be travelling and performing across Canada over 30 days - including shows in every province in Canada! To support these costs, I am gathering pledges in support of my choir. Founded in 1968 by Donald Forbes, the British Columbia Boys Choir has won international acclaim throughout Canada, the Netherlands, the United States, Europe, the Czech Republic, Australia, New Zealand, Great Britain, China and South America. 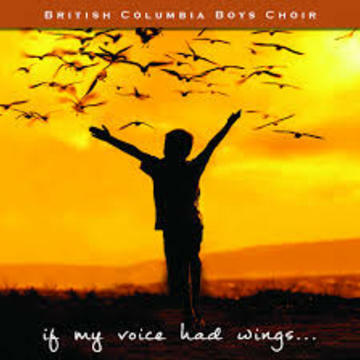 The British Columbia Boys Choir is a four-part secular boys choir, one of the few in North America. Over its 45 year history the Choir has trained over 900 members who have represented Canada on 30 international tours, performing a demanding repertoire spanning centuries, from Gregorian chant to contemporary works. Programmes frequently include sacred and secular works, selections from musicals and opera, folk songs from around the world, and an assortment of Canadian works; many specifically composed for the Choir. amber mitchell hasn't posted any updates yet. amber mitchell is managing the funds for this campaign. The campaign is for a personal cause.